An inexpensive way to really spruce up a room is a one-of-a-kind DIY Wall Mural. Not only will you repaint the room and probably brighten it up, but you can add a personal touch with a silhouette of anything you wish! It’s easy and will create an amazing living space in your home. Simply find a silhouette online, save the file to a USB thumb drive, and take it into your nearest print shop. 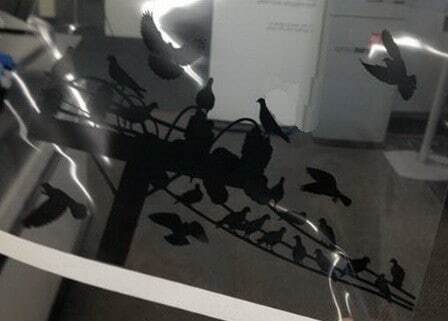 Have the silhouette printed on a clear sheet of transparent plastic for around $1 dollar. 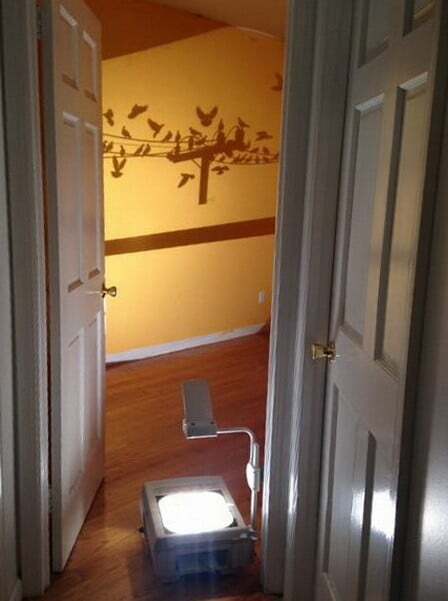 You will then need a projector to project the image onto your wall. You can then paint it with a paint color of your choice. So easy and cheap! 1. 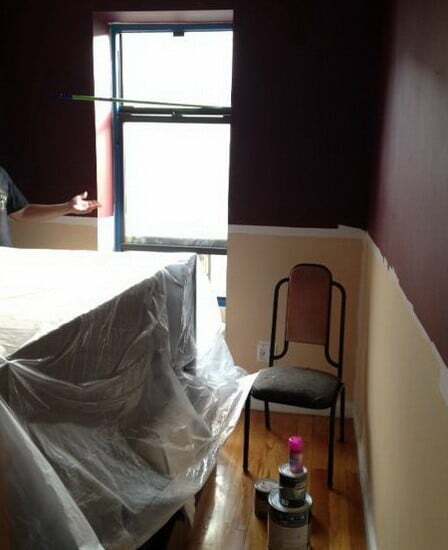 Prepare the room for repainting by taking things off the wall and covering furniture with plastic tarps. NOTE: We recommend painting the room a light and bright color so the mural will stand out. 2. Clean the walls and paint over the existing paint with a few coats of primer for a strong base for the new paint. 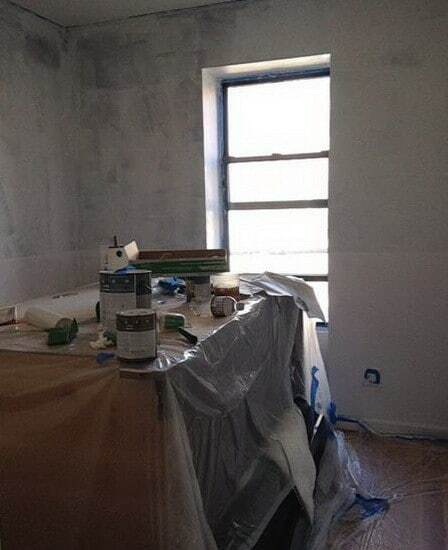 NOTE: Use a high quality primer on the walls as the high quality primers seal better. 3. 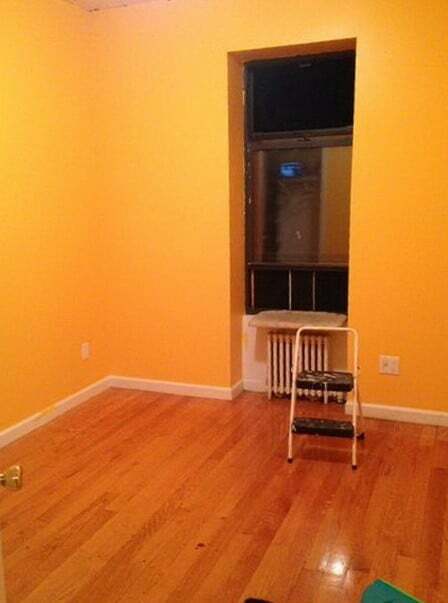 Paint your walls in whatever color you choose. Use as many coats as needed to cover over existing paint. NOTE: Apply at least 2 coats of paint to your walls to cover up the thick coats of primer. 4. 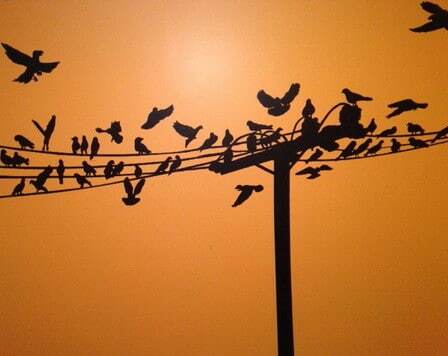 Find the perfect silhouette art and have it printed on a transparent sheet by your local printer. NOTE: There are thousands of different silhouette images online that can be used. Samples here. 5. Using a projector or similar, project the image on the wall getting it exactly where you want it to be permanently. NOTE: Once projector is in place, do not let it move as your mural will be uneven! 6. 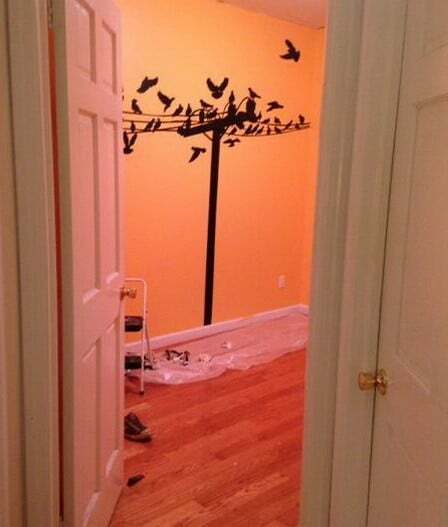 Carefully start filling in the projected silhouette with any paint color you choose. NOTE: The mural art paint must be darker than the wall paint so black paint is best. 7. Once the mural has been painted, be careful not to smear it. Have a moist cloth nearby to wipe mistakes. Use the best paint brush money can buy for the painting of the mural. Cheap brushes won’t work. 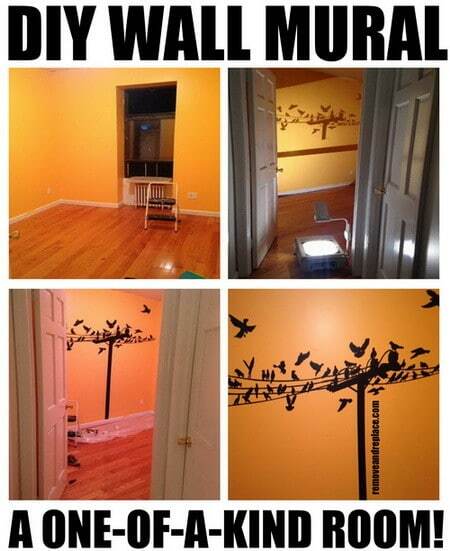 This DIY Painted Wall Mural should only cost you the paint and brushes making it super inexpensive.